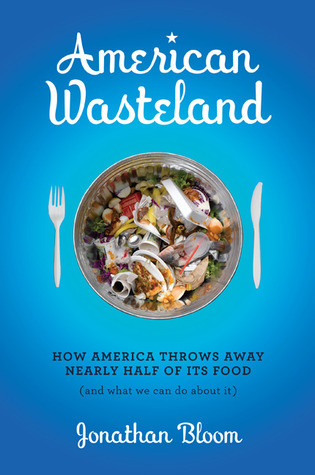 Here’s the latest installment of my food waste advice column, Dear Wasted Food Dude, which runs on BioCycle‘s site and their e-bulletin, BioCycle Food Recycling News. But fear not, I’ll also crosspost here. Just curious: how much does extreme couponing lead to food waste? Extreme couponing, eh? That reminds me of the expression, ”all things to the extreme.“ Oh that’s right, it’s the opposite — “all things in moderation.“ Along those lines, I’m not a fan of anything done to the extreme other than composting and bathroom cleaning (not necessarily in that order). And that goes double for coupons. The reason being, coupons are mostly just prompts to buy stuff that we don’t really need (not to mention food ads that many of us willingly seek out). Sometimes they prompt us to buy foods that we don’t even want just because the deal is so tempting. For example, it’s surprising that you could get a 2-liter Mountain Dew Voltage for 25 cents. But now you have a few pounds of magenta-colored sugar water that you probably shouldn’t even know existed (and is not exactly healthy). Extreme couponing only pushes us to excessively purchase items solely in the name of saving money. And buying food to save a buck is odd at best; some harsher columnists would call it flawed thinking. And when we don’t consume our purchase, it renders any savings moot. I’m continually amazed by this paradox: we’re extremely price-sensitive with our food, yet blissfully unaware of how much food we discard and its cost. Speaking of unaware, your question required me to do five minutes of Internet research on extreme couponing. In addition to learning about this behavior in general, I also landed on Extreme Couponing, a dreadful “reality” TV show. This show and the behavioral subculture of taking couponing to excessive, er, extreme levels feels slightly harmful. It’s as if they both just provide a way to advertise new, unnecessary products and enable hoarding. In one episode that perhaps represents these shortcomings, a family dumpster dives for a specific coupon, unaware, apparently, that they could simply save a step by looking for that food item in the same dumpster! But you didn’t ask my opinion on extreme couponing, rather how much wasted food it prompts. Well, you may know that overbuying is a major source of household food waste. We don’t eat about 25 percent of what we bring home. That stems mostly from impulse buys at the store, wanting to have plenty on hand, and lacking enough time to cook. Adding another reason to overpurchase — getting this really, really great deal — only adds to this fundamental problem. Especially when these “couponed” goods are perishable. Back to that saying about moderation, I’d say I’m in favor of moderate couponing. If you really want to avoid wasting food, just use coupons for items you were planning to buy or items that you know will last a while. After all, what good is saving money on food items or even getting them for free, if you throw those savings away (or maybe compost them) later? Consider the above paragraphs a coupon for 25 percent savings on your household food bill. You’re welcome, and happy shopping! This entry was posted in Household, Wasted Food Dude and tagged advice, column, coupons, extreme couponing, food waste, Jonathan Bloom, supermarket, Wasted Food, wasted food dude. Bookmark the permalink. Both comments and trackbacks are currently closed.